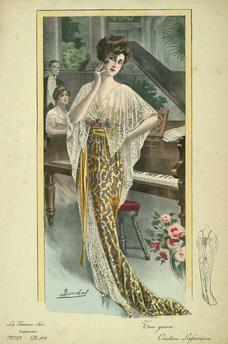 “Tea gown / Creation Laferriere”. Colour lithograph, titled: “Souchel”. From: La Femme chic, Supplement No.